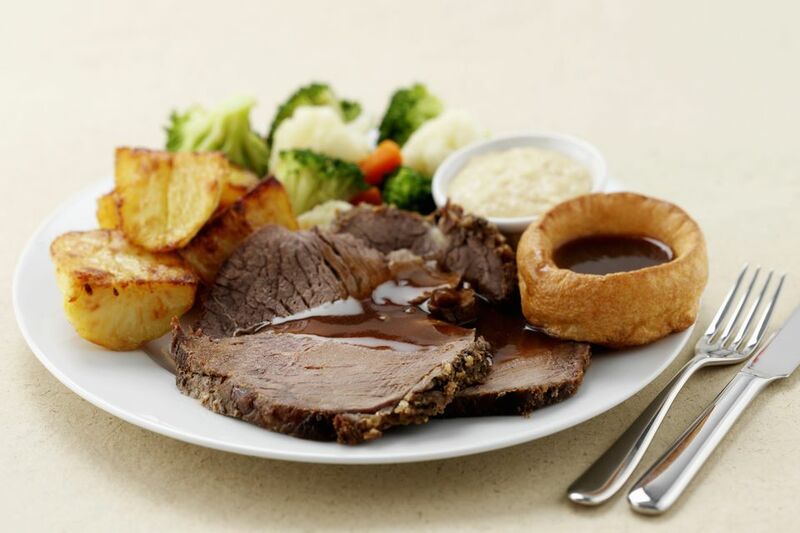 The Sunday roast is by far the most popular meal of the week in the UK and Ireland. It is a tradition which goes back centuries, historically featuring a roast beef, but today other roasts take equal billing. Roast pork, lamb, and chicken are all served and each will sit alongside Yorkshire puddings, though the sauces and vegetables may vary. 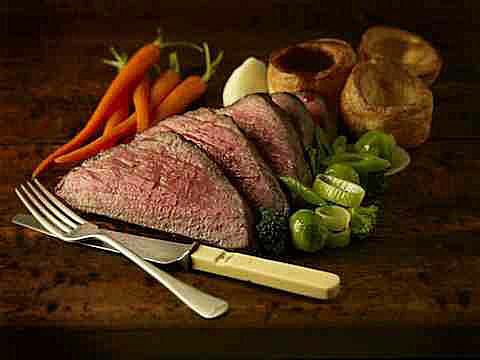 By far the most popular roast for a Sunday is beef. First, you need to choose the best joint for roast beef which can be either a rib of beef, a sirloin, or a fillet. Prime rib works well as it is usually cooked on the bone; keeping the bone in makes for a tastier piece of beef when cooked. But, both sirloin and fillet are also very good. Perfect roast pork should be moist, even cooked meat which should have crisp, flavorsome crackling. Choose outdoor, free range pork if you can. The pork should have a good thick layer of fat which may worry some people but is imperative in keeping the meat moist during cooking and adds flavor to the meat. You can always cut the fat away before eating if you are worried. Roast chicken makes a popular alternative in the Sunday roasts because it is a much lighter, healthier meat with a lower fat content than red meats and has another advantage; most of this fat is monounsaturated. Roast chicken is very popular in the summer months when the weather (may) often be warmer so traditional roasts are not as popular. Amongst the many ways to roast lamb is a method which I learned many years ago in France. It is unusual because the lamb is cooked very briefly at a very high temperature then wrapped in foil and then a layer of thick blankets for several hours.briefly at a very high temperature then wrapped in foil and then a layer of thick blankets for several hours. This method of cooking means the lamb slowly cooks inside the parcel and results in an exceptionally, tender, moist piece of lamb. This is by far the best recipe I have come across and for me, always creates a good roast. There are, of course, more conventional methods of cooking. Once you have created your perfect roast then you need the accompaniments to go with them. All will work well with the traditional Yorkshire's (Yorkshire Puddings), traditional vegetables and of course, delicious gravy. Choose from the following list. All the roasts above will also work very, very well on the Christmas table and are often preferred. There is, however, no ignoring the roast turkey and again this is a meat which can so easily be spoiled if not cooked properly. Essentially, it is preparation and a long slow cooking which will ensure you have the perfect bird on your table.